The partner of former EastEnders actress Sian Blake has been given a whole-life tariff for killing her and their two children. Arthur Simpson-Kent, 49, stabbed Ms Blake to death along with their sons Zachary, eight, and Amon, four. The Old Bailey heard he killed them when he learnt Ms Blake was planning to leave him and take their sons away. Ms Blake had motor neurone disease and would not have been able to defend herself, the court heard. All three were hit on the head before they were stabbed in the neck or throat with a small axe by Simpson-Kent in December, who then buried their bodies in the garden. He painted over the bloodstains in their bungalow in Erith, south-east London, before fleeing to his native Ghana in January. Simpson-Kent was arrested at Heathrow Airport in February after being extradited. He admitted murdering his family in June. Mr Justice Singh said there was “no doubt” that Simpson-Kent should serve the rest of his life in prison. “In my judgment this was indeed a case where each murder involved a substantial degree of premeditation or planning,” he said. He added there were serious aggravating features as the victims were vulnerable because of age or disability. Ms Blake’s mother Lindell Blake said in an impact statement: “We live knowing that Sian and the children would have been scared, terrified before that monster slaughtered them in their home, a place they should have felt safe and secure. “Sian was unable to protect her precious children. Little Zachary fighting back trying to protect his mother, himself or his little brother from his own father. The court heard Simpson-Kent told psychiatrist Dr Philip Joseph “something just snapped in me”. Simpson-Kent said he grabbed a small axe that was in the kitchen before hitting her repeatedly on the head. “My mind was blank and I was focusing on doing and not thinking. It was like I was there but not there,” he said. The judge rejected Simpson-Kent’s claim that he was depressed and had planned on killing himself. 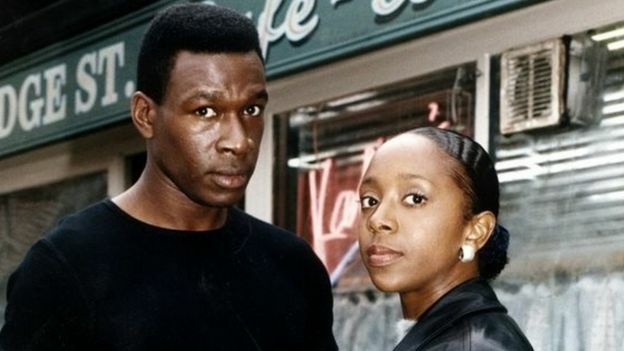 Ms Blake played Frankie Pierre in 56 episodes of EastEnders between 1996 and 1997. She then went on to work as a voice-over artist, with her last credited work in the video game Final Fantasy XIV: Heavensward, as the character Yugiri in 2015. Arthur Simpson-Kent gets life sentence for killing actress Sian Blake and their two children 0 out of 5 based on 0 ratings. 0 user reviews.